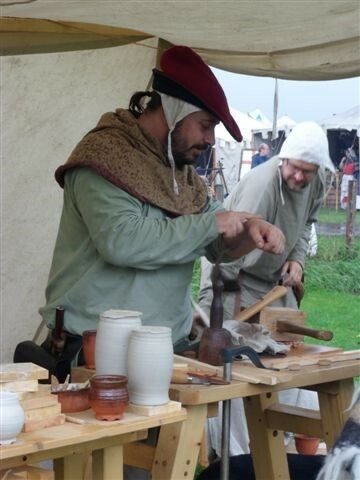 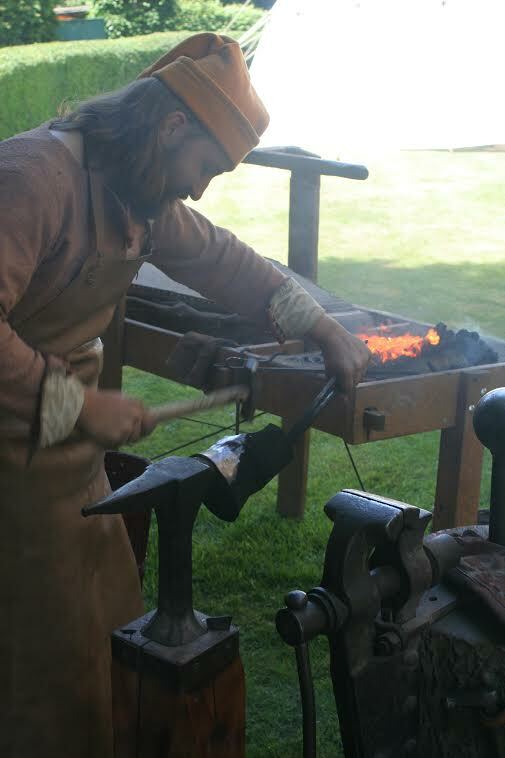 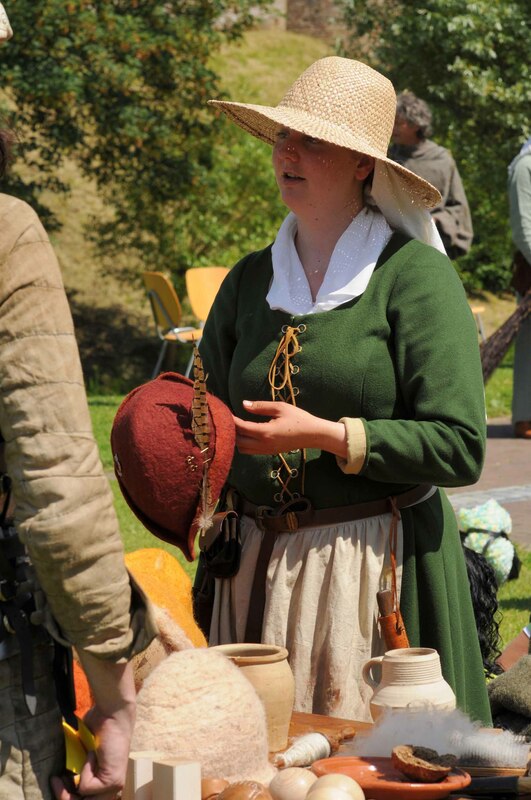 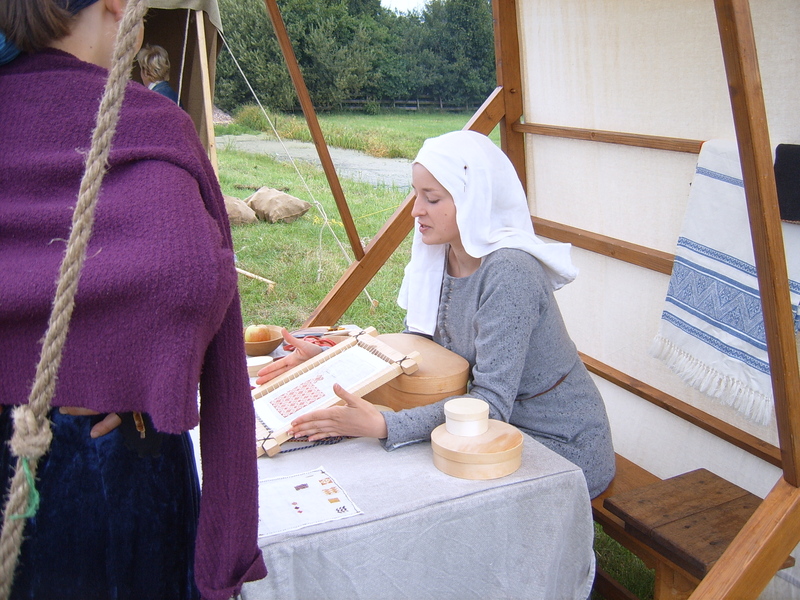 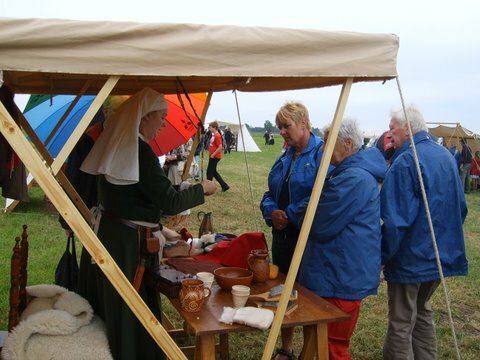 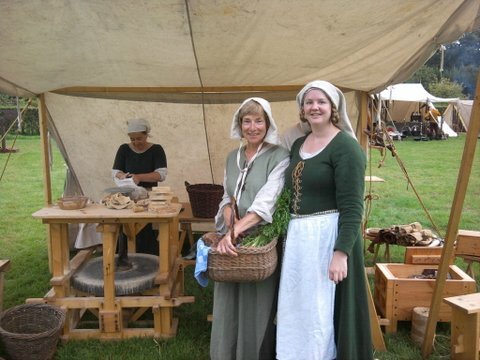 Experience the Past offers demonstrations of medieval crafts in third person interpretation. The crafts people wear medieval clothing and bring their medieval stands including all kinds of medieval replicas. The demonstations are always interactive: not only can the public watch the show, they can touch it, smell it ,sometimes even taste it and many techniques can be tried by themselves. Demonstration of the technique felting, showing examples of different medieval headwear. Demonstration can be extended with a workshop for children. 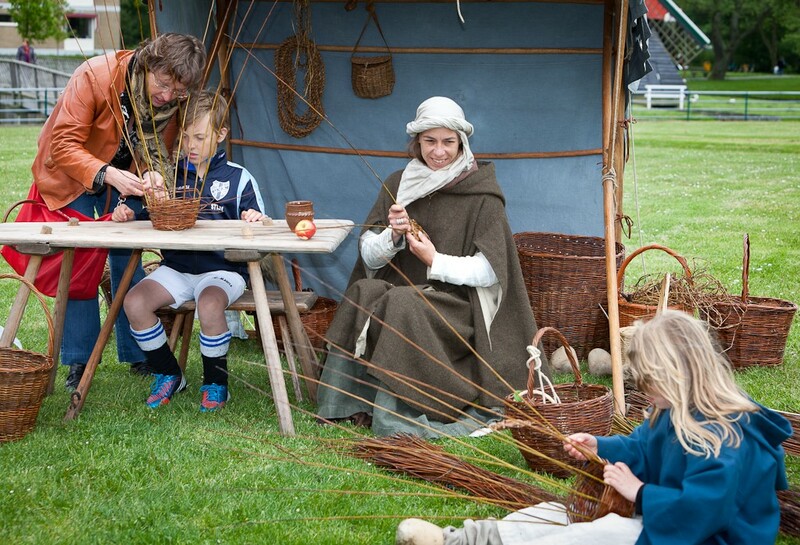 Willow, soaked in water to make it more bendable, is used to create baskets. Demonstration of the process of making leather shoes (14th and 15th century models) and other leather work. The carpenter shows how to make medieval furniture, wood carving, but also how to make small objects such as spoons. 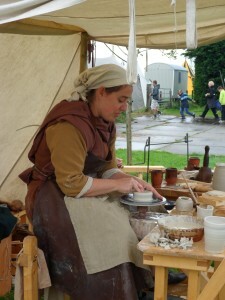 Demonstration of potterty making + presentation of several selfmade replicas of medieval pottery. 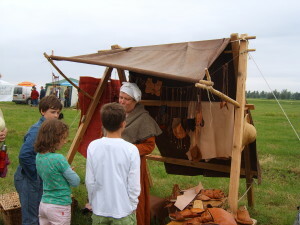 Demonstration can be extended with a workshop for children. 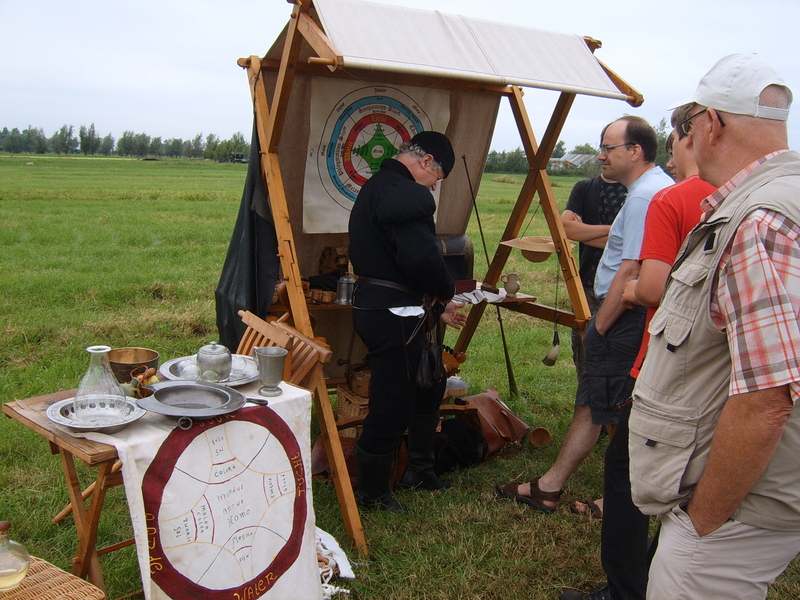 Demonstration of plate armour making. Constructing plate armour requires many tools and techniques that will be shown, most of which are made by the craftsman. Demonstration medieval cooking. 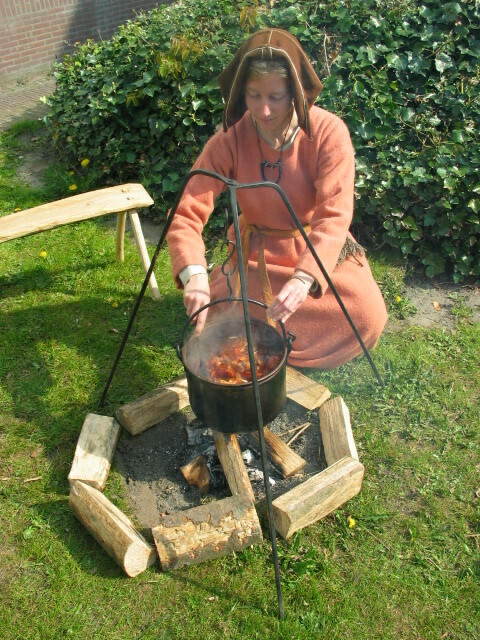 Taste it yourself. 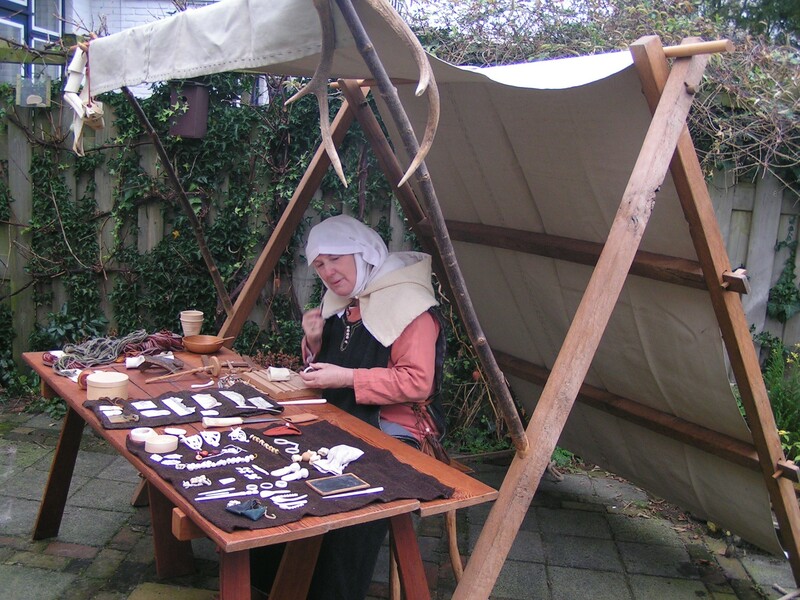 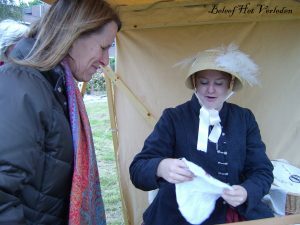 Interactive and fun like our medieval crafts, but this time with craftspeople in 18th century costume, demonstrating typical crafts of the era. 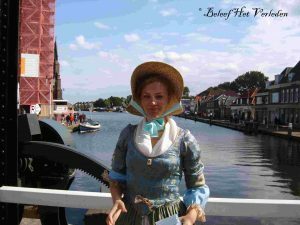 Fashion of ladies hats, a barber for men (which men enjoy like women enjoy a beauty spa), cooking and baking etc.